Fun ……How many surnames can you think of which relate to the glove making business for which Yeovil is famous? Just one of the questions we were asked to answer during our annual treasure hunt this week. And now we all know many interesting facts about the villages between Sherborne and Yeovil, most of which we wont ever need to use again. But great fun and so was the BBQ afterwards. Thank you Bob and Julie for allowing us all to invade your home, we had a really enjoyable evening. Fellowship……. one of the many benefits of being a member of Rotary, is the opportunity to meet other Rotarians, and understand their lives, not only in this country but worldwide. One of these opportunities is the Rotary Friendship Exchange. In 2019 there are two exchanges, one in Maharashtra in India (February 2019) and one to New Jersey in USA (May 2019). Some of our members have taken part in Rotary exchange visits in the past and describe these exchanges as a unique and exciting opportunity. As with any exchange visit this is a two way opportunity, our members are hosted by the country being visited, and we then host their Rotarians in our homes, and show them how our world works and whats special in our area. This is just one of many opportunities Rotary offers to experience everyday life in other countries and to enjoy the followship of Rotarians who live in a very different world than our own, not in a tourist bubble but as fellow Rotary members. I have experenced this myself in India and in Zambia, and for me these were life enhancing experiences. 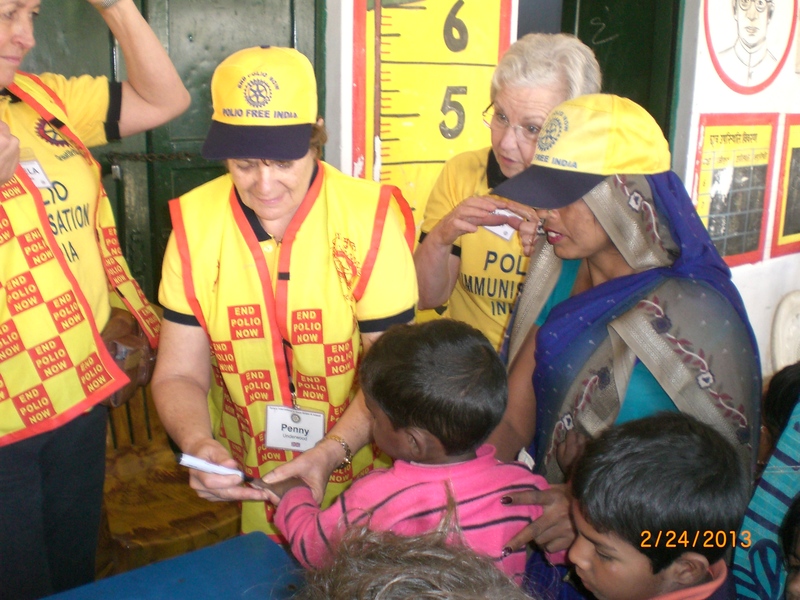 Of course to take part in any of these opportunities you need to be a member of Rotary. All are welcome to join Rotary, just click here to contact us and find out more. Previous Entry Week 9 – What a Washout!